Newtown has grown quickly over the past few years and the King Street is now packed to the brim with cosmopolitan eateries. Cloud 9 Chocolate Cafe recently opened for business and promises great desserts at very low prices in a nice casual atmosphere. The cafe is the brainchild of Anne McGlinchey who has experience rolling out Lindt Cafe across the country. 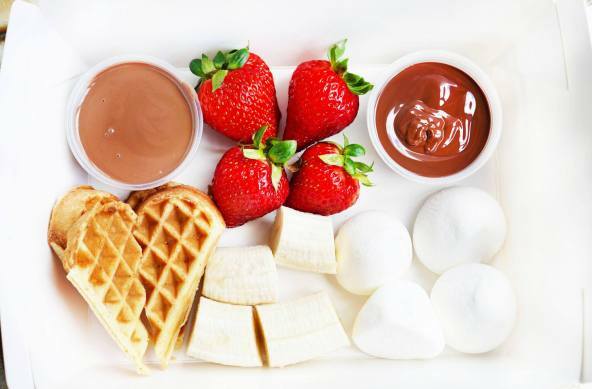 The fondue for two consists of a basic spread of waffles, banana, marshmallow and strawberries. Overall the fondue chocolates were quite good, with both the dark and milk chocolates very rich and tasty. One improvement I’d like to see would be the waffles served slightly toasted and warm. The gelato sliders are probably the most well known items on the menu, I’ve seen a lot about them on social media so I was quite excited to try them. 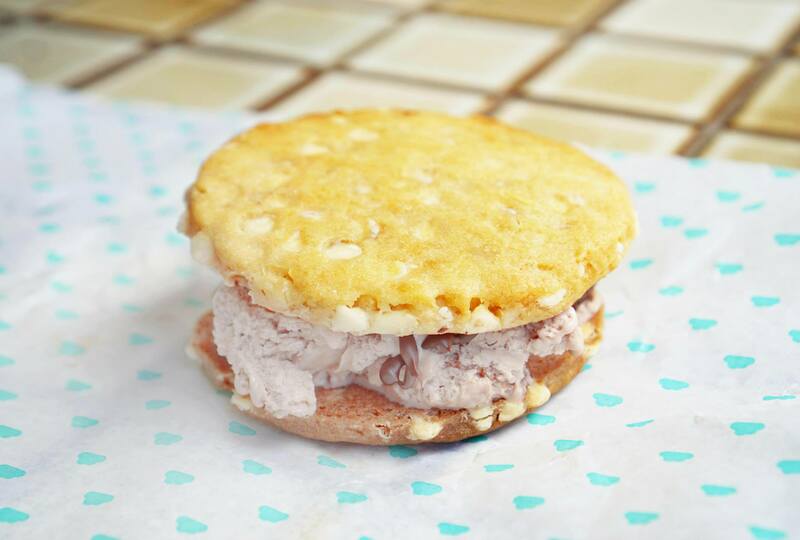 The concept is great at first and it’s fun building your own slider but it’s actually pretty difficult to eat in practice with ice cream dripping out the bottom, definitely prepare yourself for a messy experience if you’re ordering one. 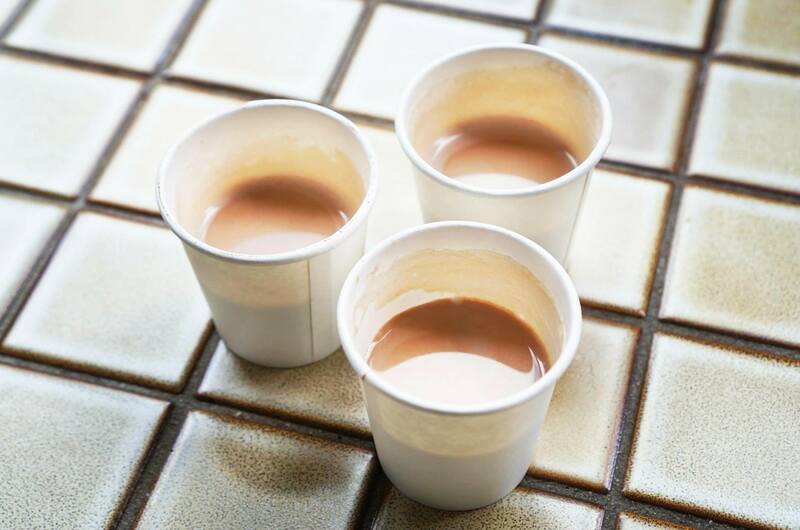 We were also given a few samples of hot chocolate to try which turned out to be really good. After trying the hot chocolate at a few of the chocolate cafes in Sydney this was a pleasant surprise, they’re the perfect blend of rich chocolate and milk. Please note these are not the actual serving size or cups for the hot chocolate. 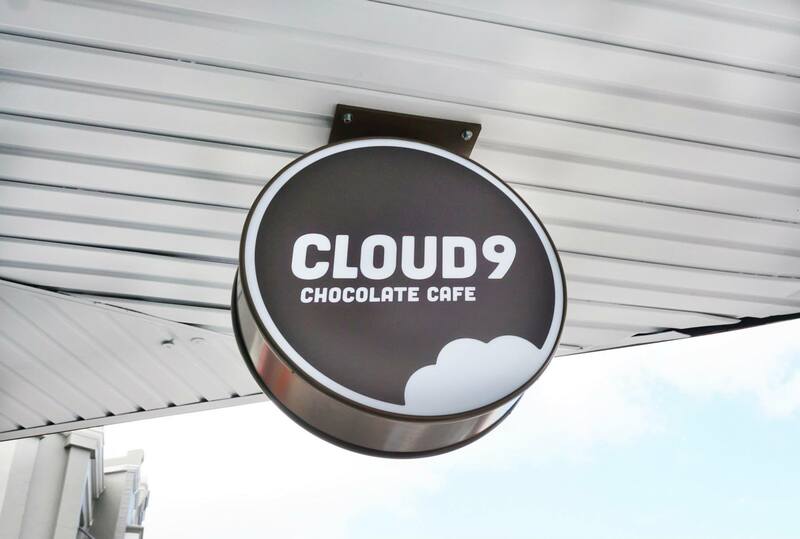 Cloud 9 Chocolate Cafe seems to be geared to a specific target market and it seems to be doing quite well with that in mind. The relatively low prices make it an attractive option for the large student population in the area and while we were there we also noticed a lot of families with children dropping by for a quick snack. Mr C dined as a guest of Cloud 9 Chocolate Cafe and Evil Twin PR. While the gelato sliders sound interesting, I just can’t go past a good chocolate fondue! 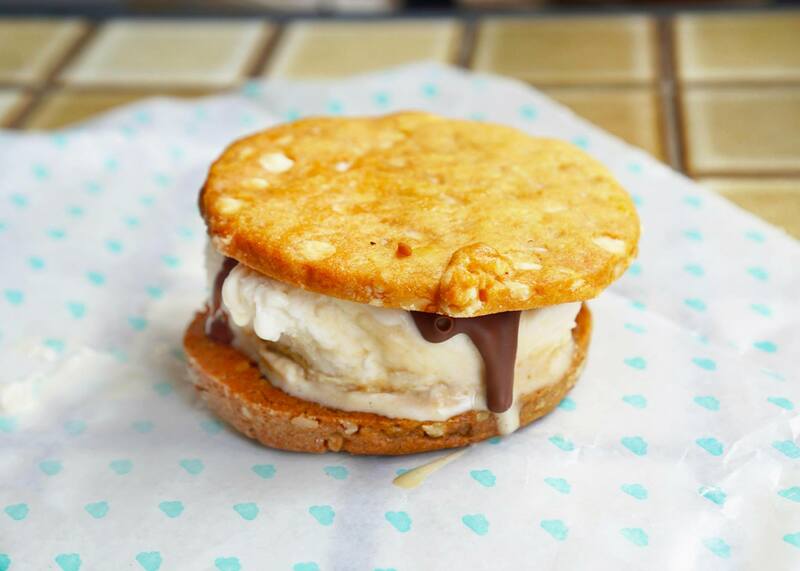 Ooooh the ice-cream sliders sound interesting. It looks more like a biscuit(y) type thing which would make eating quite difficult.